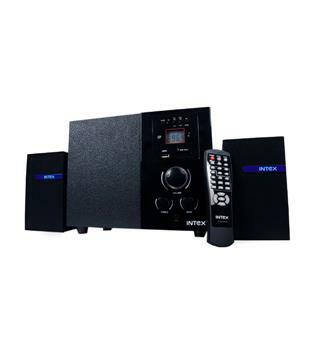 Get this Intex IT-850 U 2.1 Multimedia Speaker to sort out all your worries regarding a utilitarian speaker unit that packs a punch. This speaker set is designed to excel and provide you an excellent sonic experience no matter what purpose you use it for. 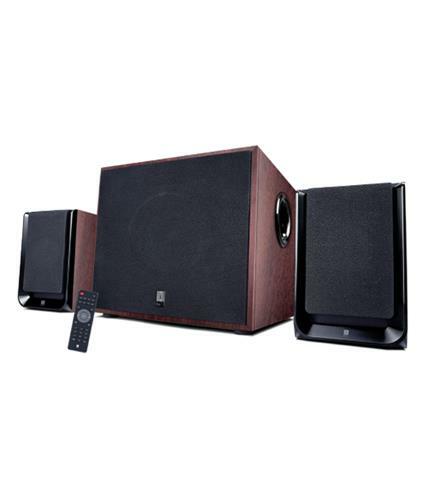 You can get this efficient speaker at Snapdeal for a reasonable price. 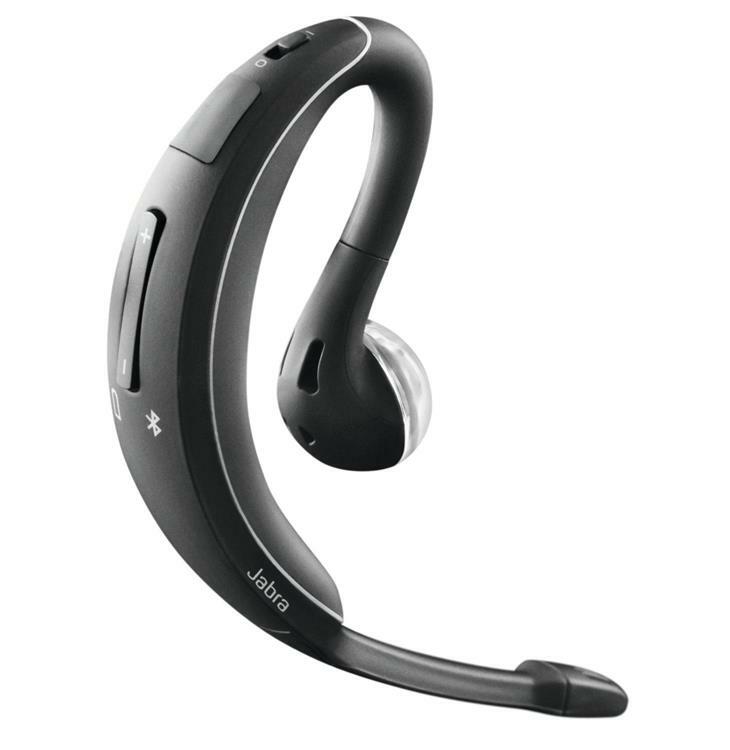 It has multimedia usage which makes it utilitarian. The pristine black colour with a dash of white makes it look elegant. 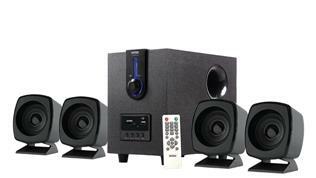 This speaker set consists of two satellite speakers and a sub-woofer. 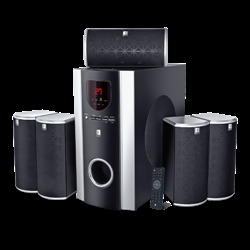 The woofer unit is designed keeping acoustics in mind and produces fine sounds be it for music, videos or gaming. Their chassis is made of wood which is known to give brilliant acoustic perfection. 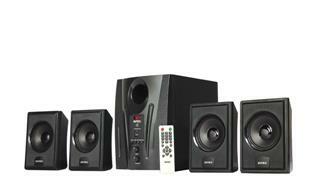 The satellite speakers have excellent treble reproduction and lend this set the required linearity of sound. The satellites tweeters measure 5.08 cm while the sub-woofer (main unit) is a 7.62 cm one. 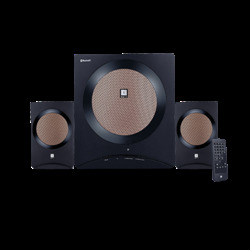 This speakers set up suits small to medium sized rooms. 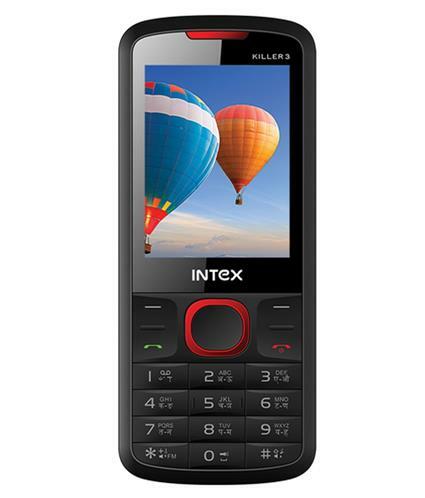 Intex IT-850 U 2.1 Multimedia Speaker has an RMS sound output of 16 W. RMS refers to root mean square output. The woofer unit is rated at 10 W and the two satellites are rated at 3 W each. This rating ensures that you always experience great sound reproduction irrespective of the medium used. This speaker set from Intex can be used through multiple modes for all types of home entertainment. Using the 3 mm audio jack, you can easily enjoy your favourites stored in your laptop, PC or mobile for hours. It uses a DC adaptor for power. 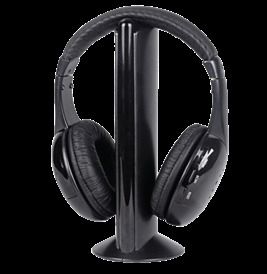 There are options for both microSD and USB 2.0 through which you can plug and play music directly from external devices. All the operation specific ports and buttons are in front of the main woofer unit which makes it an ergonomic device. 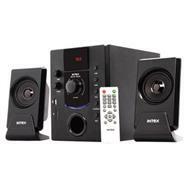 Intex IT-850 U 2.1 Multimedia Speaker is sure to deliver high-quality sound with a 75 db signal-to-noise ratio and a 5 W main impedance. The frequency response of the satellite speakers is 200 Hz to 18 KHz while that of the sub-woofer main unit is 50 Hz to 200 Hz. 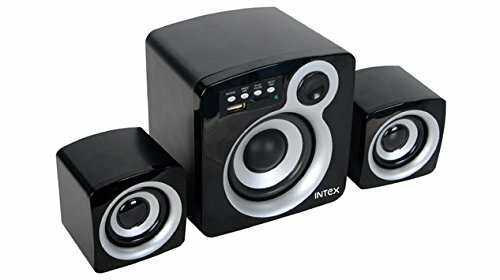 The primary sales unit of this Intex IT-850 U 2.1 Multimedia Speaker pack consists of two satellite speakers, one sub-woofer, connecting wires for both satellite speakers, a 1-channel RCA of 3 mm and the user manual.